(Redaktionelle?) 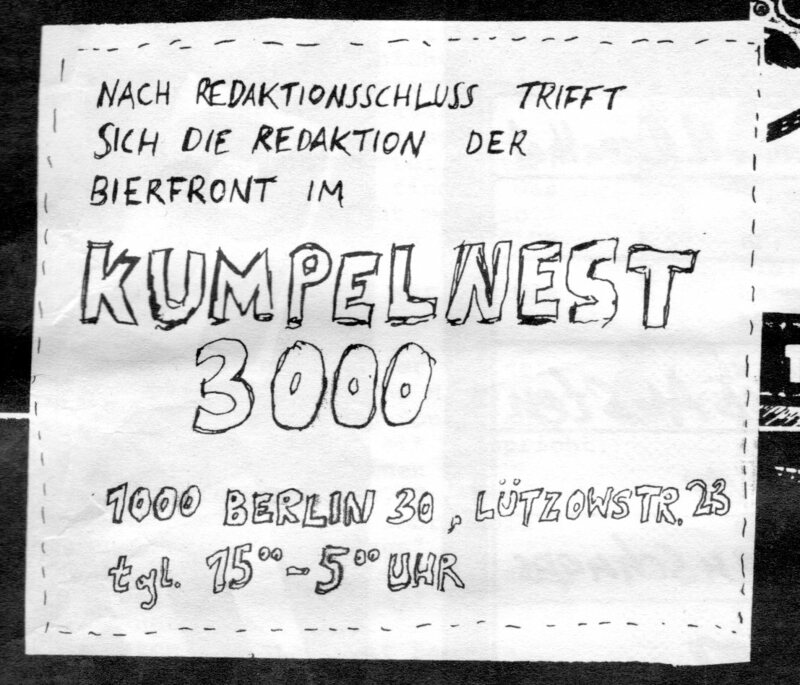 Anzeige für die Berliner Bar Kumpelnest 3000 im Fanzine Bierfront (Aachen), zu sehen auf Seite 3 der Ausgabe Nr. 1/87. This entry was posted on Juni 30, 2014 at 22:01 and is filed under Fanzine, Label, Musik. You can follow any responses to this entry through the RSS 2.0 feed. You can leave a response, or trackback from your own site.